In the past, simulation of liquid composite moulding processes was often based on the assumption that resin viscosity could be implemented as a constant value. However, viscosity can be subject to changes during the infusion process and now, non-constant and process parameter dependent expressions have become more common in simulation practice. Nevertheless, even with the inclusion of more advanced resin viscosity models, the prediction of flow front propagation in large, thick composite parts or in slow infusion processes is often still inaccurate when compared to the real application. Discrepancies are found to be most pronounced in the final stages of the infusion process, exactly where high accuracy predictions are most valued. A new simulation method based on an infusion time-dependent resin viscosity expression is proposed in this work. The method not only incorporates non-linear viscosity behaviour, but also takes into account the impact of reinforcement fibre sizing and fibre bed architecture on resin viscosity characteristics. Such fibre bed effects are not identifiable in neat resin viscosity characterization tests but are thought to have substantial impact on in-situ viscosity values during infusion, especially for large, thick composite part applications and slow infusion processes. An application case study has been included to demonstrate the prediction capability of the proposed simulation method. The design of an infusion process for a composite pressure vessel was selected for this purpose. Results show high predictive power throughout the infusion process, with most pronounced benefit in the final infusion stages. The authors would like to acknowledge the ELRIPS consortium (Efficient Life Cycle Management of Resin Infused Flight Critical Composite Primary Structures) and its sponsors EPSRC-MOD and DTI, through grant GR/S33963/01, as well as Dr. Jeffrey M Lawrence from V System Composites for giving valuable support. The authors want to acknowledge the Spanish government for their support through research project MAT2009-07918. 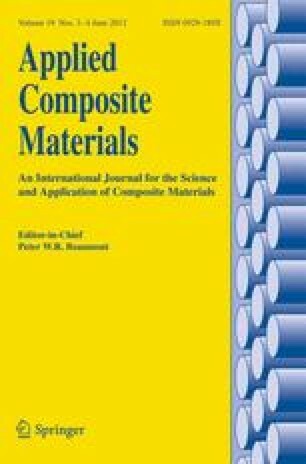 The authors also want to acknowledge the Center for Composite Materials at the University of Delaware for support with LIMS software.